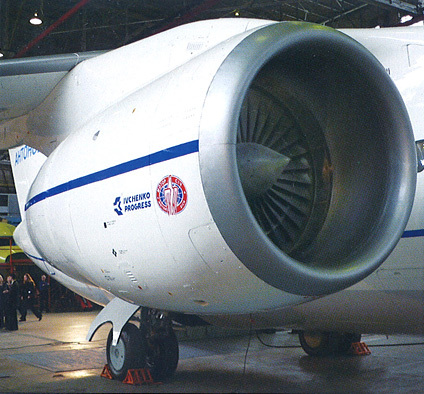 AN-148 is equipped with D-436-148 engine designed by SE "Ivchenko-Progress" and produced by "Motor Sich" motor-building plant. 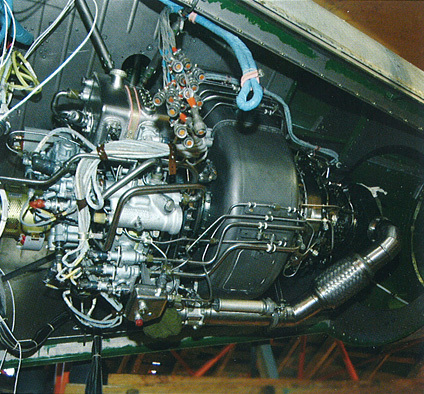 Depending on the aircraft version, the engine thurst varies from 6400 to 6830 kgf. The engine is fitted with complex digital automatic control system. The engine life period is 40000 flight hours and 20000 cycles, 10000-12000 flight hours before taking away the wing. AN-148 is equipped with APU AI-450-MS designed by SE "Ivchenko-Progress" and produced by "Motor Sich" motor-building plant.